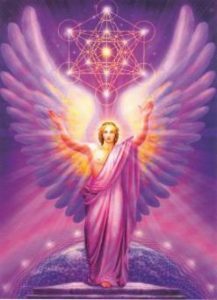 The Angelic Reiki healing system is taught by means of two workshops which connect the student with the most powerful Angelic energy being anchored on earth at this time. Angelic Reiki is taught at in person workshops and is not taught one to one. There are no distance attunements in Angelic Reiki. Angelic Reiki is equally suitable for beginners and those experienced in other healing systems. No experience in any other holistic complementary therapy is required by those wishing to learn Angelic Reiki. The starting point for experienced Usui Reiki or other holisitic therapy practitioners is Level 1&2. Click Here to view Angelic Reiki Workshop dates. This workshop is taught over three full days and is a powerful experience which lays the ground for the incoming Galactic Energy of Ascension.